Includes private plate W19 NAG. Pictures are examples from our gallery. Air conditioning – electric windows – parking sensors. Above specification is: £15,000.00 plus vat - plus van – and additional extras. Find us on Facebook: Hardcastle Horseboxes. 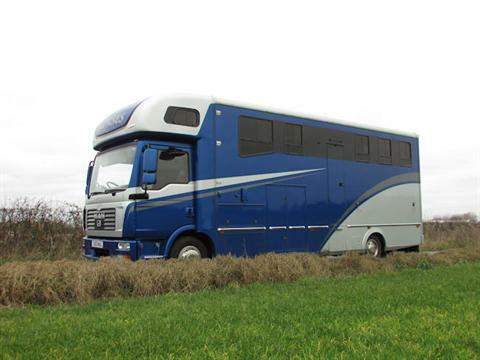 This Fabulous designed Horsebox built by Hardcastle Horseboxes finished in Aston Martin Viper Blue, with Mercedes Brilliant Silver & Range Rover Corris grey design. Benefiting from the latest modern materials including lightweight composite panels with modern fibre glass moulded Luton /spoiler/ bumper and privacy’s windows. 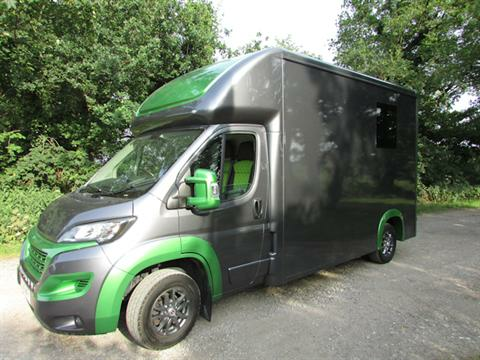 With comfortable living area, sleeps 4, separate bathroom, large horse area for 3, substantial storage and plenty of payload.